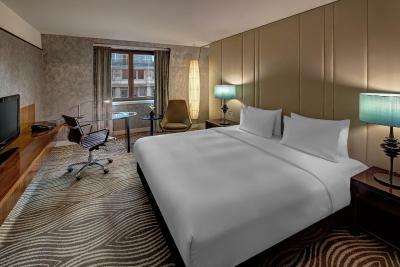 Lock in a great price for Hilton Berlin – rated 8.4 by recent guests! Breakfast has a good selection and it pretty good. Wifi is included if you are a hilton honours member, otherwise you have to pay 25 Euros/day which is very steep. The rooms are okay for the price. the staff is nice and inviting, helpful and professional. Breakfast is outstanding, and with great views of the city. And the location is one of the best in Berlin. I visited Hilton more than 5 years during Berlin film festival. Never disappointed. Pleasant stay and friendly staff. Definitely I'll come to see you again. Thank you. Everything was perfect! My partner and I enjoyed our anniversary at Hilton so much, we think we'll come back sometime in the future. The food was great, live music, drinks, and friendly employees. Was an outstanding experience! 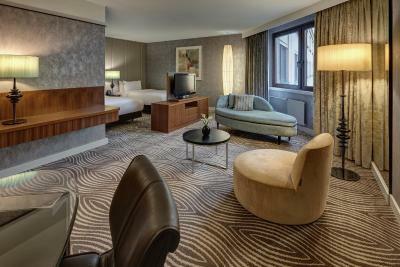 Hilton Berlin This rating is a reflection of how the property compares to the industry standard when it comes to price, facilities and services available. It's based on a self-evaluation by the property. Use this rating to help choose your stay! 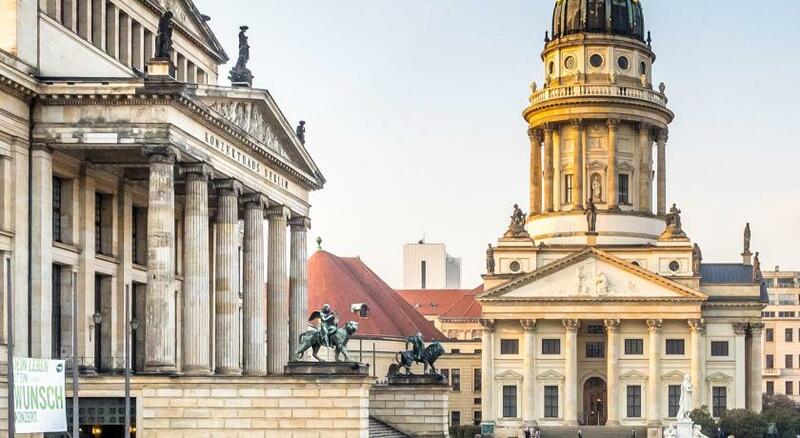 One of our top picks in Berlin.This centrally located hotel on Berlin’s historic Gendarmenmarkt Square features luxurious rooms, an exclusive spa and 2 restaurants with stunning views of the German Cathedral. A beautiful terrace with seating is located directly on the square. 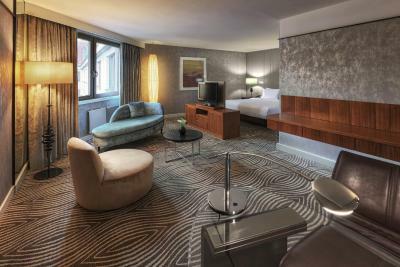 Decorated in warm colors, the Hilton Berlin’s elegant rooms come equipped with a flat-screen TV, a mini-bar, tea/coffee facilities and a bathtub with shower attachment. 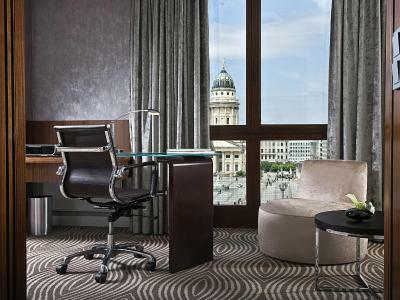 Some rooms offer access to the 1181 ft² Executive Lounge, including free breakfast, WiFi, snacks and drinks. 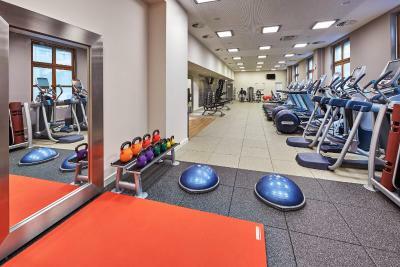 Relax in the 2625 ft² LivingWell Health Club Berlin with a top-modern fitness center, an indoor pool, sauna and steam room (sauna charges apply). The Berlin specialty, Currywurst, is served at the Dom Curry, 600 feet away from the hotel. 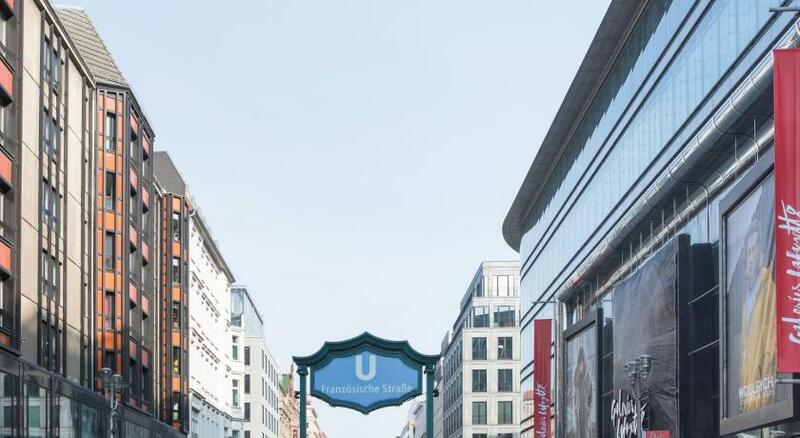 The famous Friedrichstraße shopping street is just around the corner. 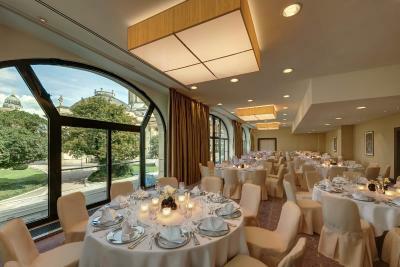 German regional cuisine can be enjoyed in the Mark Brandenburg Restaurant. 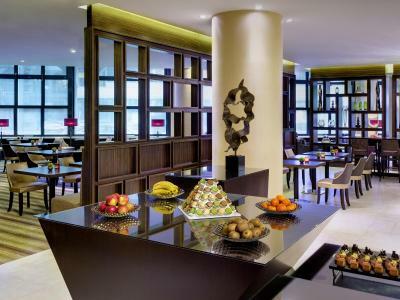 Guests can enjoy a daily breakfast buffet at the Beletage Restaurant. 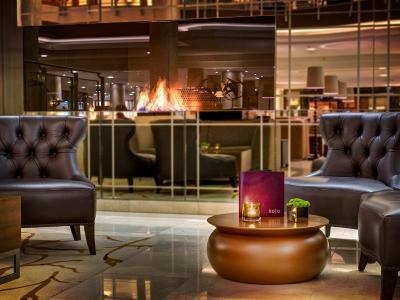 The Listo Lobby Lounge is a great place to relax with drinks and snacks, and it also features live music. 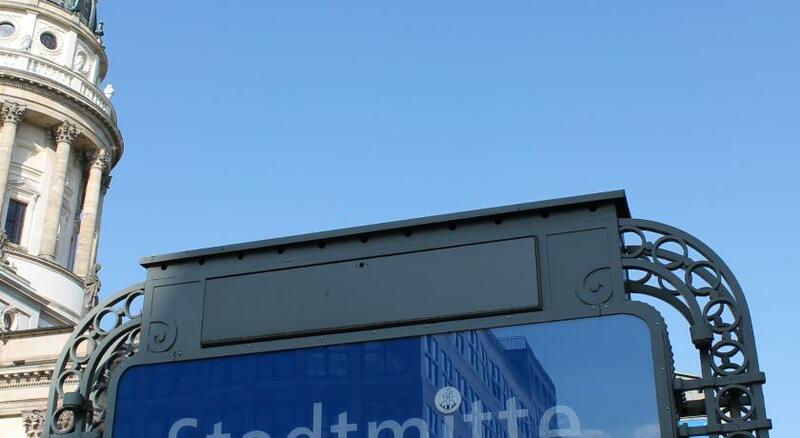 Stadtmitte Underground Station is located just outside the building. Valet and public parking is available. 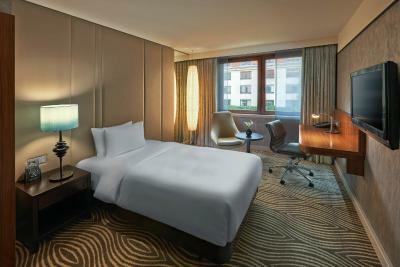 When would you like to stay at Hilton Berlin? 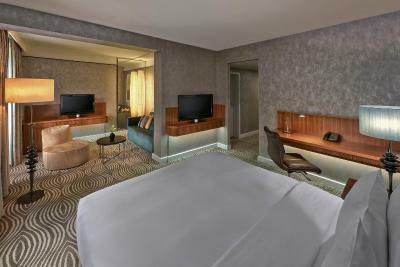 Stylish room featuring modern interiors, a mini-bar, cable TV, a work desk and an private bathroom with a bathtub with shower attachment as well as complimentary toiletries. Private parking is available on site (reservation is not needed) and costs EUR 34 per day. Large room overlooking the quiet courtyard, featuring a living area, a mini-bar and large windows. The private bathroom includes a bathtub, shower attachment and complimentary toiletries. 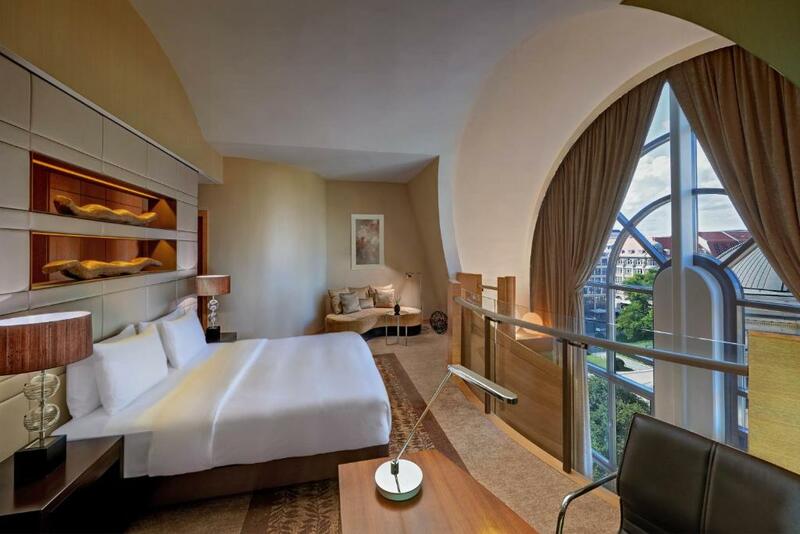 Stylish room featuring modern interiors, a mini-bar, cable TV, a work desk and an private bathroom with a bathtub, shower attachment and complimentary toiletries. 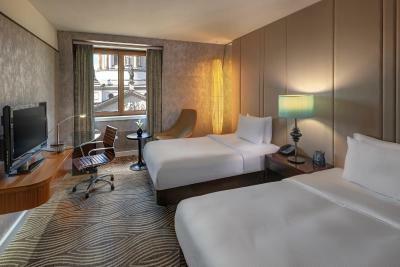 Bright and spacious room overlooking the quiet courtyard with large windows. The private bathroom includes a bathtub, shower attachment and complimentary toiletries. 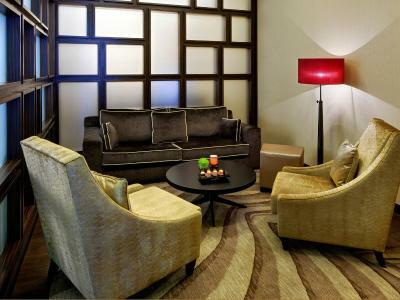 The room offers free access to the Executive Lounge, where breakfast and complimentary drinks and snacks are served. Bright and spacious room overlooking the quiet courtyard and has large windows. The private bathroom includes a bathtub, shower attachment and complimentary toiletries. 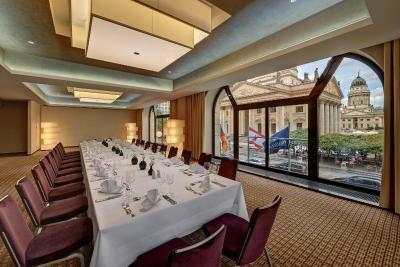 Designed in warm colors, this large room overlooks the Gendarmenmarkt Square. It features large windows, a mini-bar, WiFi, a desk and cozy armchair. 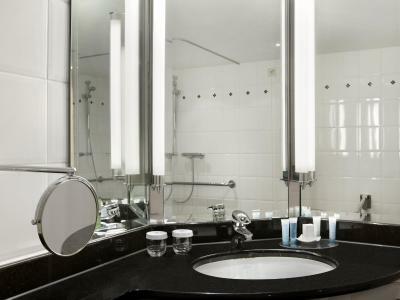 The private bathroom includes a bathtub, shower attachment and complimentary toiletries. 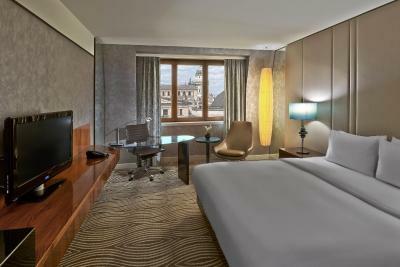 Large room overlooking the Gendarmenmarkt Square with a cable TV, mini-bar, work area and modern private bathroom with a bathtub and shower attachment. 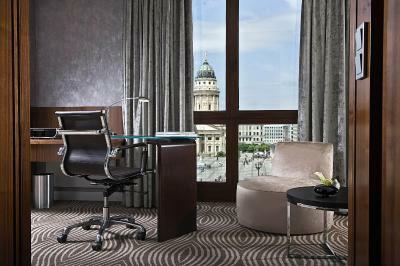 Stylish suite featuring modern interiors, cable TV, a work desk and an private bathroom with a bathtub, shower attachment and complimentary toiletries. 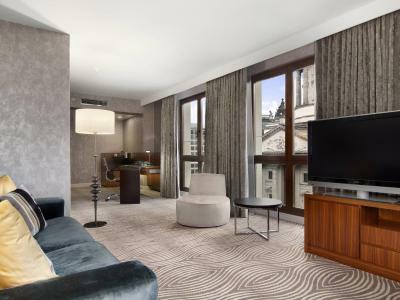 This spacious suite also includes free access to the Executive Lounge, where breakfast and complimentary drinks and snacks are served. 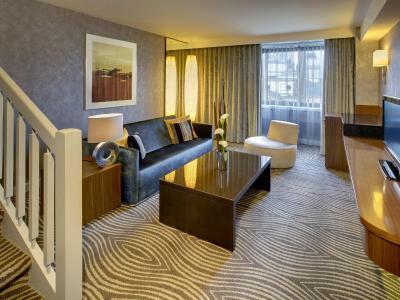 Stylish suite featuring modern interiors, a mini-bar, cable TV, a work desk and an private bathroom with a bathtub, shower attachment and complimentary toiletries. 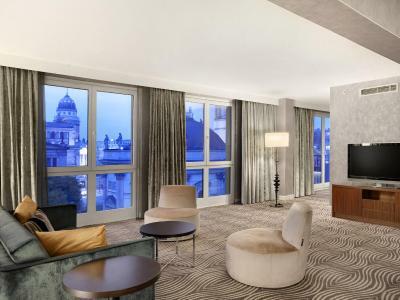 This very spacious suite also includes a seating area and floor-to-ceiling windows offering views of Gendarmenmarkt Square. 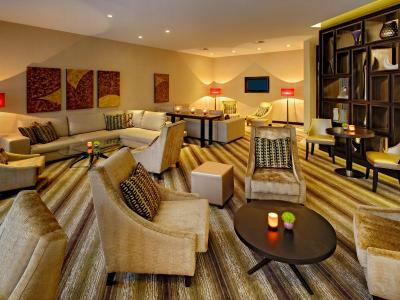 There is access to the executive lounge. 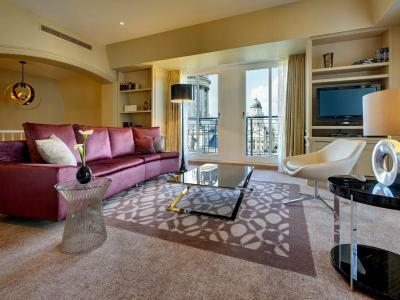 Bright, spacious room with a living area, mini-bar and large windows. 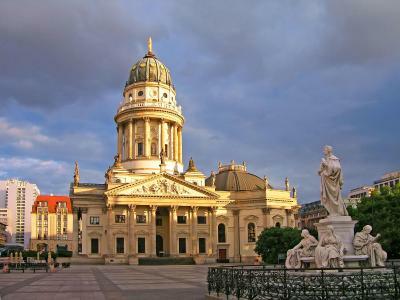 Offers views of the Gendarmenmarkt Square. 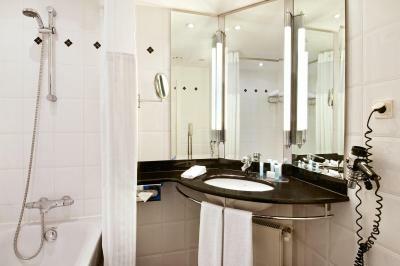 The private bathroom includes a bathtub, shower attachment and complimentary toiletries. 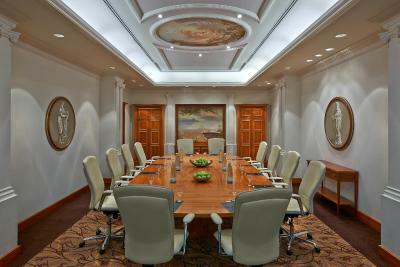 This room offers free access to the Executive Lounge, where breakfast and complimentary drinks and snacks are served. 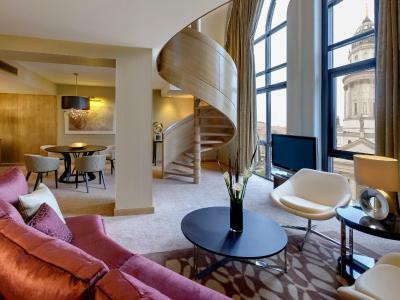 Spacious suite overlooking Gendarmenmarkt Square. 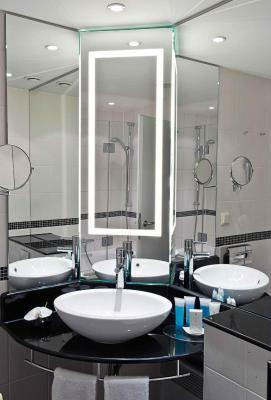 The private bathroom includes a bathtub, shower attachment and complimentary toiletries. 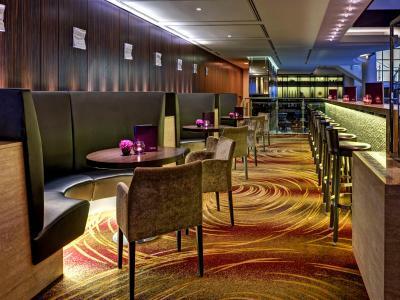 There is access to the executive lounge. The room features cable TV, a mini-bar and an private bathroom with a bathrobe, hairdryer, bathtub, shower attachment and complimentary toiletries. The suite has cable TV, a mini-bar and an private bathroom with a bathrobe, hairdryer, bathtub, shower attachment and complimentary toiletries. 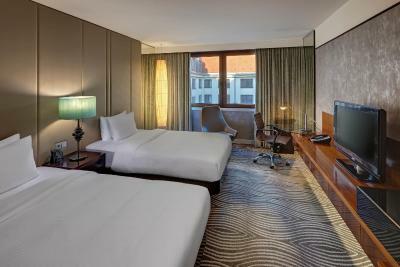 A unique location combined with Berlin's cosmopolitan atmosphere: Hilton Berlin stands for excellent hospitality and represents the perfect venue for city enthusiasts, right at the heart of Berlin. 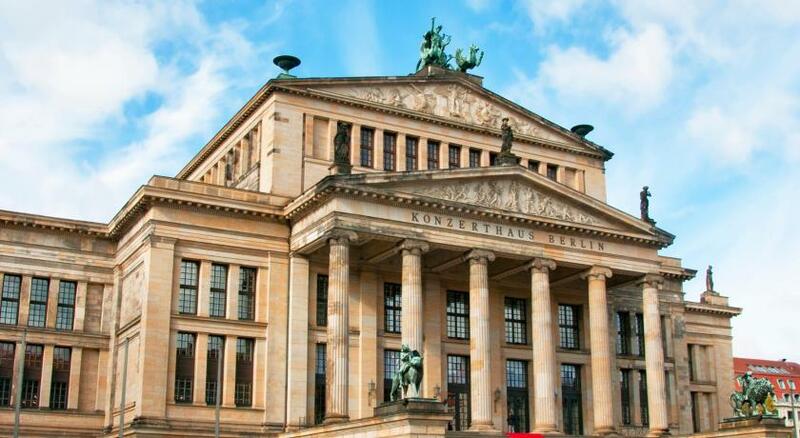 Explore Berlin’s most famous attractions, they are all within walking distance. 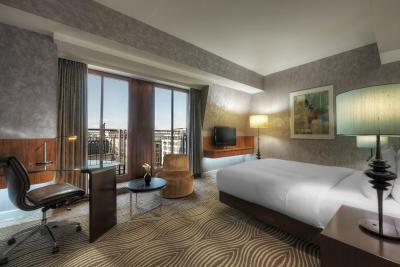 Breathtaking views either from beautifully designed dome view guest rooms and suites or the restaurants are guaranteed. 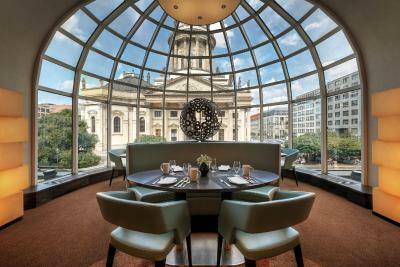 Discover regional cuisine at Restaurant Mark Brandenburg, taste one of our many cocktail creations in the Listo Lobby Lounge or try the Berlin specialty, the 'Currywurst' at our DomCurry. 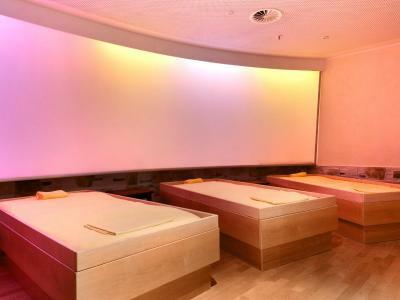 Pure relaxation promises the 800m2 LivingWell Health Club Berlin: Unwind in the pool, the sauna and steam room facilities or work out in the modern fitness center equipped with latest fitness technology. WiFi is available in the hotel rooms and costs EUR 25 per 24 hours. 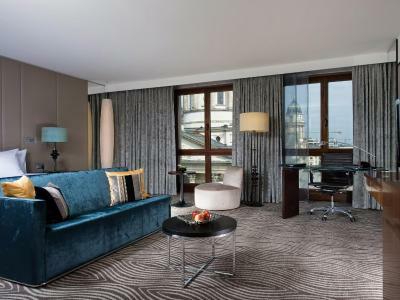 House Rules Hilton Berlin takes special requests – add in the next step! All older children or adults are charged EUR 55 per person per night for extra beds. 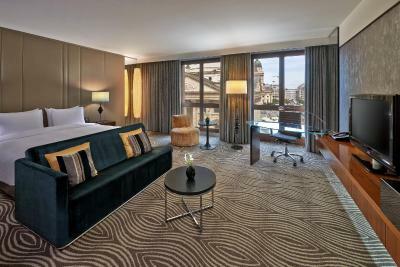 Hilton Berlin accepts these cards and reserves the right to temporarily hold an amount prior to arrival. Please note that WiFi in the room will be charged at EUR 15.00 per 24 hours for standard WiFi (suitable for emailing and surfing the web) and EUR 25.00 per 24 hours for premium WiFi (suitable for VPN and video streaming). Please note that in addition to the on-site parking listed in the policy, valet parking is also available for EUR 39 per day. Too many people enjoying the exec lounge early evening. 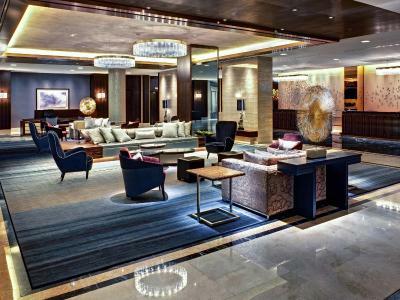 Is conference Hotel for neverending business people!! Hotel was packed with Armies of Chinese! Location - this is why we have mainly picked this hotel. The room was also nice - as size and as utilities. 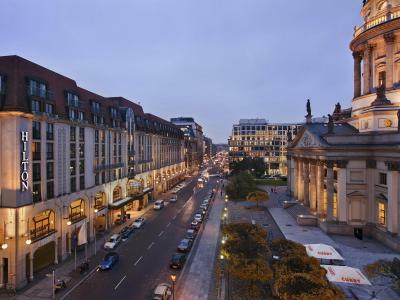 It hadn't occurred to me that any 4* hotel in a city like Berlin wouldn't automatically offer free WiFi, and I was surprised to find myself paying €15/day for access. The fault ultimately lies with us for not having read the small print, but it does seem a little odd in this day and age to be paying through the nose for WiFi. 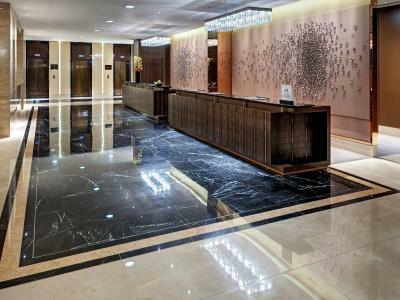 The hotel itself is enormous - it took about 2 mins from the elevator to actually walk to our room - so it's not a personable / cosy experience, although the rooms are decent. 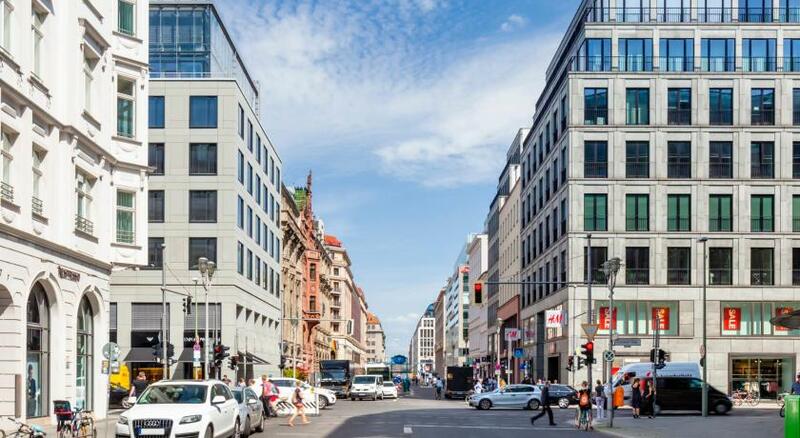 Good location on a street slightly removed from the core hustle / bustle of Mitte. Comfortable beds. Cleanliness good. The room wasn’t match with one I select from website The room was not clean They asked me about my experince , I said : bad. They didn’t even ask why !!! Never came across anything we did not like. Exquisite view of the church especially at night time when it is lit.. The warmth and helpfulness of the staff generated from the moment we arrived until we left. The Concierge was really helpful when giving us information on where to go next. 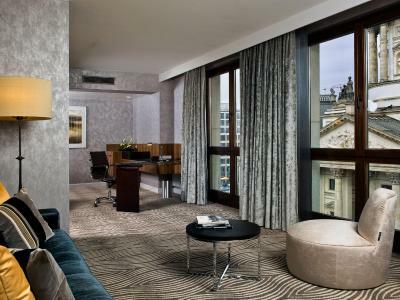 Hotel is in an ideal location for trips, be it on the city tour bus or walking to the jetty to pick up a river cruise. Reasonable walking distance to the TV tower and the Mall of Berlin. 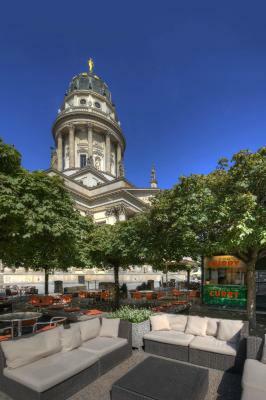 Enjoyed sitting in Gendarmenmarkt in the sun and listening to the classical musicians. No hot water for 1.5 days - staff asked us to try running the water for 5, 10 and 15 mins but still nothing. Ended up getting a key to another room on the same floor to use the shower. Spa treatment was booked but staff thought it was best to cancel as my wife presented with 2 really small spots on her face and the staff didn't want to go ahead with her facial but managed to charge 50% for the effort of doing nothing. Everyone is always scamming someone and it seems worse when travelling in the last couple of years. Another hotel with ridiculous shower baths that wet everything. no free WiFi - who does this nowadays? clean room, nice desk to get some work done, great breakfast. Felt that the price of breakfast was steep so went out to local cafe. Would be nice if 'real' milk was offered on the in room tea tray rather than cream for tea drinkers. Location was excellent. The bedroom window opened for fresh air which was lovely (we stayed in a room facing the inner courtyard). Reception staff were very professional and helpful.